The NEMA 4 rated MS09 utilizes microwave motion technology and the Doppler Radar effect. 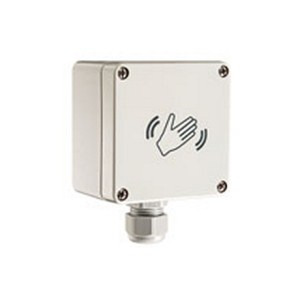 The MS09 detects moving objects such as a hand, cart or wheelchair. It is also not affected by stationary objects or changes in temperature.